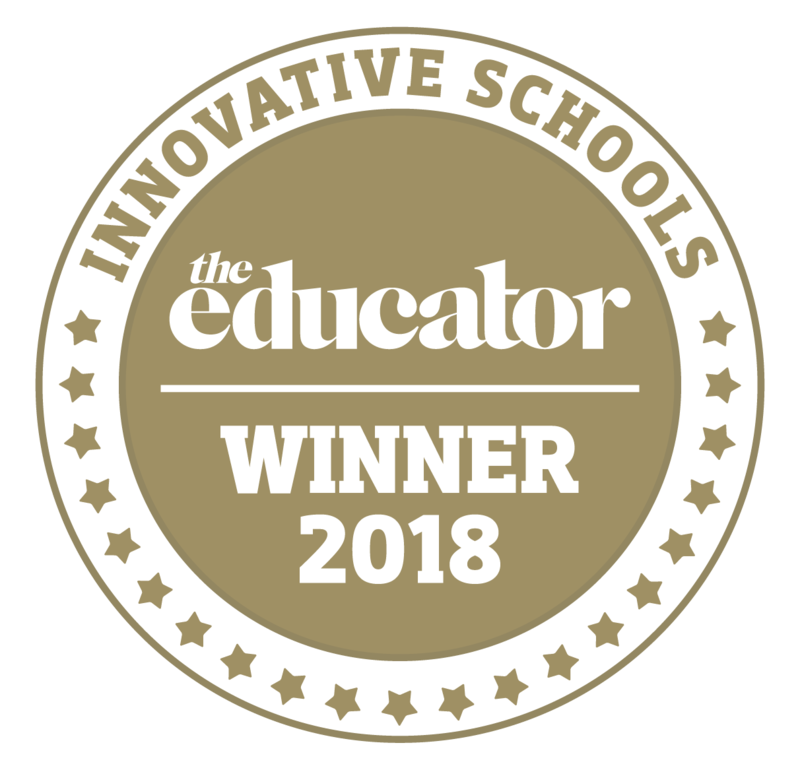 Whitsunday Anglican School has been named as one of The Educator’s Innovative Schools for 2018! We are one of 40 schools nationwide to be recognised for our innovation in the area of STEM. To view further details on why we made the list click HERE. Whitsunday Anglican School promotes a culture of excellence in the field of STEM (Science, Technology, Engineering and Mathematics). In 2018 a new STEM subject was introduced from Years 5 to 8. In 2019, it was also rolled out as an elective that can be delivered in Year 9 and in Year 10 in 2020. STEM is a curriculum based on educating students in four specific disciplines — Science, Technology, Engineering and Mathematics — in an interdisciplinary and applied approach. There is more technology in today’s economy than at any other time because businesses are adopting new technologies to remain competitive. STEM skills are valuable as an employability skill, and are in high demand due to their positive effect on business processes and economic drivers. In the STEM course, students will learn to solve real world problems using technology, innovation and creativity. They will engage in project and challenge based learning activities that align with 21st Century learning and focus on creative solutions. WAS is fortunate to have a range of teachers with an interest in STEM, many of which have participated in STEM careers prior to teaching. This will be an invaluable asset to the delivery of an engaging and rigorous learning program. So far this year students have undertaken the CoDrone Educational Program which is built in-house for the new STEM elective. The current project can be described simply as: a search and rescue mission where students plan and code a rescue mission using the CoDrone unmanned aerial vehicle (UAV). Our young people need to be not only strong in literacy and numeracy but increasingly in science, technology, engineering and maths (STEM) and, most importantly, they also need to develop a ‘newer’ set of capabilities (McIntosh, 2017, p.3). The Peter Doherty Awards for Excellence in STEM Education recognise students, teachers, support officers, schools and education partners (volunteers, mentors and organisations) who demonstrate an outstanding and innovative contribution to STEM education in Queensland. IN 2017 two WAS students were recognised with Peter Doherty Awards with year 12 students Ryan Olsen and Ruturaj Vaidya both demonstrating excellence in the area of Science, Technology, Engineering and Maths. In 2015 WAS student Cara Stolp was a Peter Doherty Award recipient and in 2016 Cara’s sister Dana Stolp also achieved an award. The awards are named after Professor Peter Doherty, a Brisbane-born Nobel Prize winning scientist who was educated at Indooroopilly State High School and the University of Queensland. Annually the School also enters in the International Competitions and Assessments for Schools (ICAS) in English, Mathematics and Science from Years 3 to 12. Over 120 students each year are awarded credit and merit certificates, for students who perform in the top 46% of the country. In 2016, 76 students received Distinctions (top 10%) and High Distinctions (top 1%), from over 6,300 schools. All students are encouraged to become independent learners, to tackle unfamiliar content with an open mind and to develop a growth mindset with its emphasis on understanding that intelligence can be developed by focusing on improvement. For the Junior School one of their significant STEM events of the year is the Creative Design and Sculpture Day of Excellence. In 2017 the session was facilitated by artist and industrial designer Stephen Mushin who was well received by the group of Year 3 and Year 4 students. Thinking beyond the general boundaries, the students designed and then looked to create some alternative housing solutions. Stephen worked with the students on their designs and assisted them with relative perspectives and scale to create life-like models. Success in the area of STEM also occurred in 2017 when Year 10 students Kalaryn Fisher and Lachlan Iturbe were selected to attend the Australian Brain Bee Challenge (ABBC) at the Queensland Brain Institute in July 2017. Their day was filled with individual and group challenges which centred around the information presented in a set text. Question responses were submitted via iPhone voting, paper and pencil tests and the use of iPads. Out of a field of 24 teams, Kalaryn and Lachlan’s teams were part of the top seven to compete for first, second and third placings. Next year they both hope to return to the Queensland Brain Institute with two more students so they can have a full ‘Whitsunday’ team for the group challenge. In 2017 the School again hosted a successful McDonald’s Mathematics competition with 410 students competing from schools throughout the entire Mackay region, including Sarina and Proserpine. The Whitsunday Anglican School teams put on an impressive performance, placing second in the Lower Junior Division (Years 7 and 8) and taking out first place in the Senior Division (Years 11 and 12). 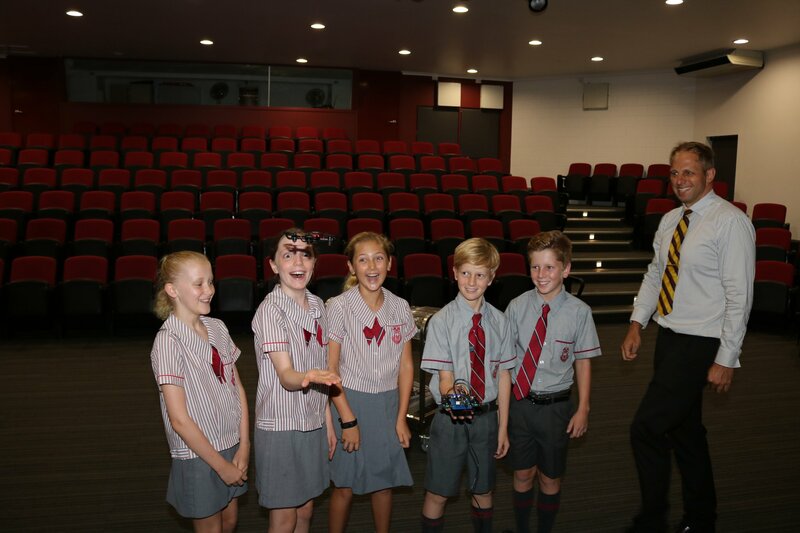 Whitsunday Anglican School was also one of two schools invited to participate in the Cuberider STEM program which was launched in Mackay in July 2017. 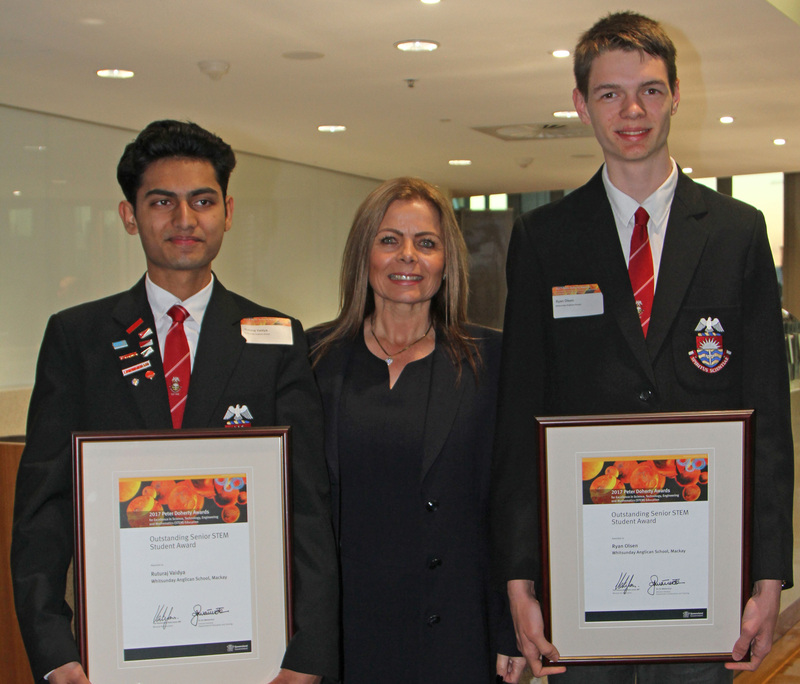 Four Year 9 students formed a team to participate in the Telstra-sponsored program which is also partnered by NASA. Gabriella Andrews, Nashmia Akbar, Sam Chandler and Samuel Lenton worked for a full day to plan the first stage of a solution to a problem faced by astronauts at the International Space Station. Whitsunday Anglican School supports their teachers in the pursuit of grant funding that will support its STEM focus. The School was recently the successful recipient of a $10,000 ISQ grant to establish an ISQ Coaching Partnerships Program that will allow the Head of eLearning, Design and Information Technology to be released to mentor staff in the promotion of digital literacy. Acting Faculty Head of Science – Jacqueline Notley at jnt@was.qld.edu.au. Faculty Head of Information Technology and Design and eLearning – Brett Cruse at bcr@was.qld.edu.au.